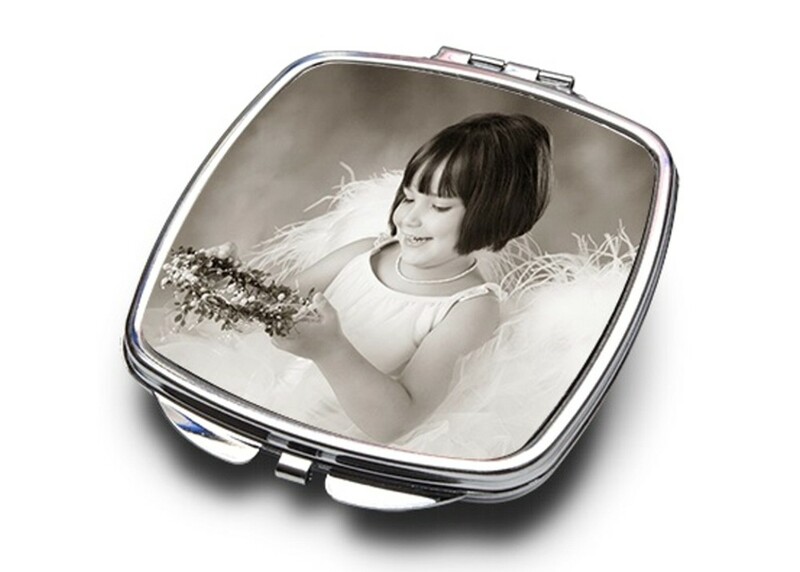 A beautiful full colour square hand compact mirror. Personalised to your exact requirements. This amazing hand mirror measures 65 x 73mm. For best results please provide a photo/picture as clear as possible. If we feel the quality of the picture isn't suitable we will email you and ask for an alternative picture. Please note this item can't be engraved.